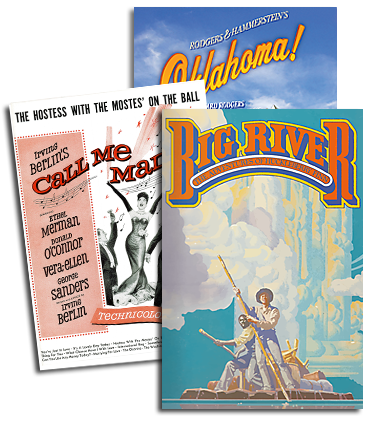 The seven-time 2008 Tony Award winning Lincoln Center Theater production of Rodgers & Hammerstein’s SOUTH PACIFIC, directed by Bartlett Sher, launches its National Tour in September. Produced by Bob Boyett and NETworks Presentations, SOUTH PACIFIC will be touring across America well into 2010 and beyond. The National Touring Company will be led by Rod Gilfry (Emile de Becque) and Carmen Cusack (Nellie Forbush), with Anderson Davis (Lt. Cable), Matthew Saldivar (Luther Billis), Keala Settle (Bloody Mary), Gerry Becker (Capt. Brackett), Peter Rini (Cmdr. Harbison), Sumie Maeda (Liat), Rusty Ross (Professor) and original 2008 Broadway cast member Genson Blimline (Stewpot). SOUTH PACIFIC won the 2008 Drama Desk, Drama League and Outer Critic Circle Awards for Best Musical Revival. It also swept the 2008 Tony Awards, winning seven honors including Best Musical Revival, Best Director of a Musical (Sher), as well as in the Musical categories for Best Sets (Michael Yeargan), Costumes (Catherine Zuber), Lighting (Donald Holder) and Sound (Scott Lehrer). They are all recreating their work for the National Tour, as is choreographer (and Tony Award nominee) Christopher Gattelli, and musical director Ted Sperling. A full orchestra will perform the original orchestrations by Robert Russell Bennett (posthumous recipient of a special 2008 Tony Award) and dance and incidental music arranged by Trude Rittmann. The National Tour of SOUTH PACIFIC will launch in San Francisco, CA at the Golden Gate Theatre and play Los Angeles, CA; Seattle, WA; Houston, TX; Denver, CO; Atlanta, GA; Dallas, TX; West Palm Beach, FL; Tampa, FL; St. Paul, MN and many other cities. For a complete tour route to date, visit www.southpacificontour.com. For more about the smash hit Broadway revival of SOUTH PACIFIC, now in its second year at Lincoln Center Theater, visit www.lct.org.